IM+ for BlackBerry updated, brings push notification. 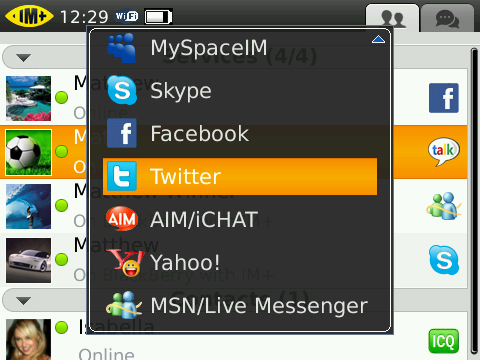 IM+ has just been updated for Blackberry bringing it up to v9.2. This time there is a new feature added to now, which is the push notification and inbox integration. Now chat in MSN, Facebook, Skype, Yahoo!, Google Talk, AIM, Jabber, ICQ, VKontakte, Yandex Chat, MySpace, Mail.ru Agent and use Twitter in one application!